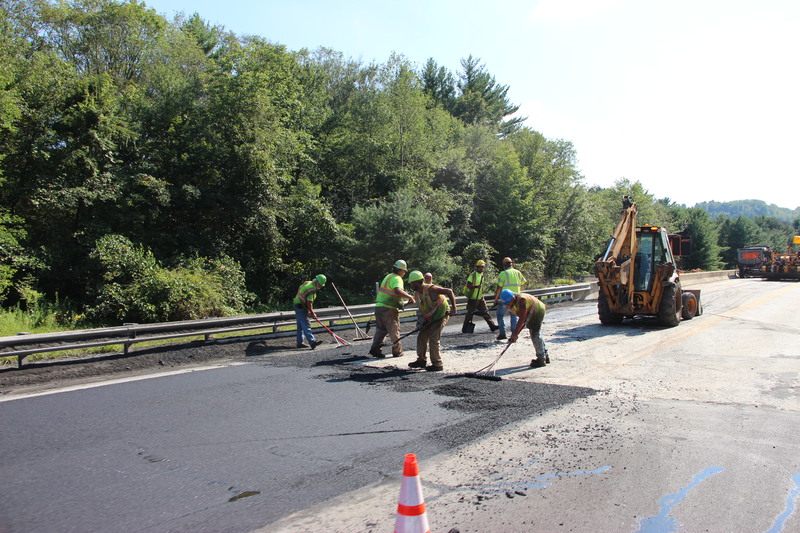 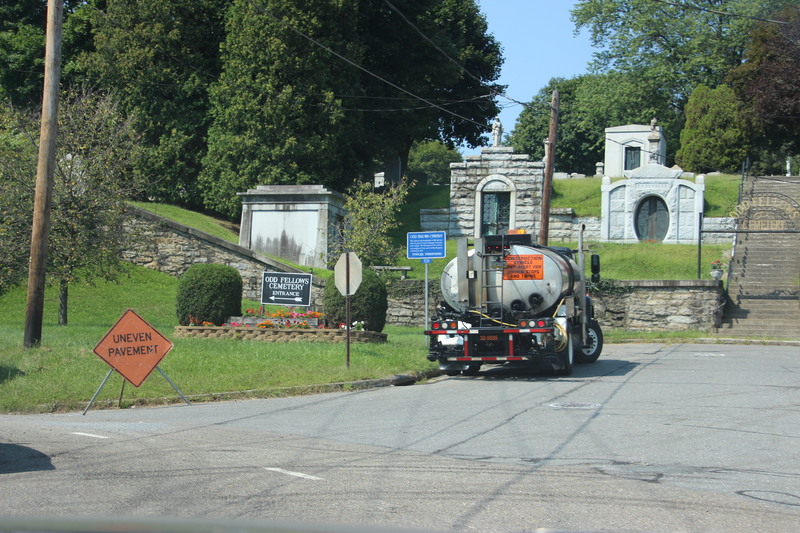 Pictured today are contractors resurfacing the junction between old Route 209 and new Route 209. 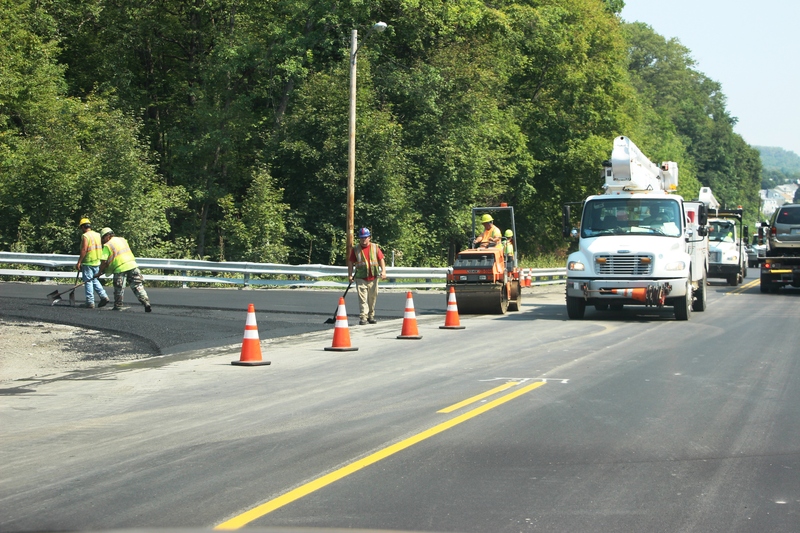 Contractors are nearing completion of the US209 (a.k.a. 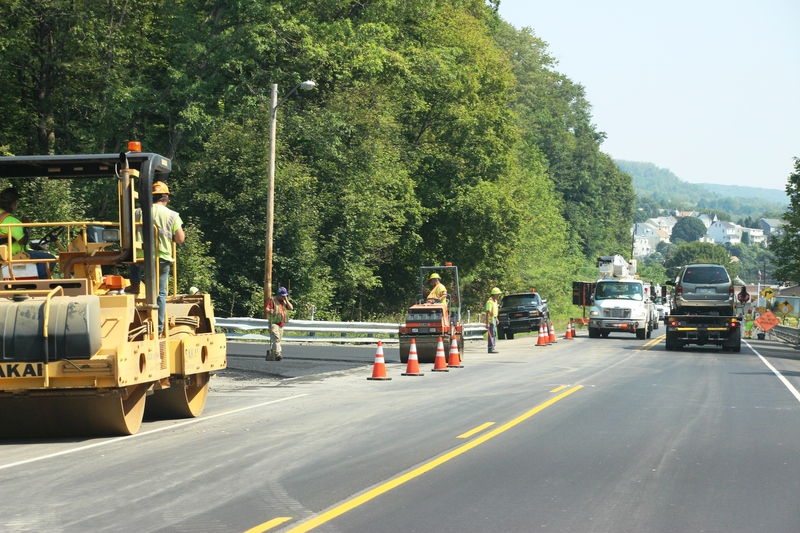 Pottsville Stretch) Resurfacing Project between Tamaqua and Middleport. 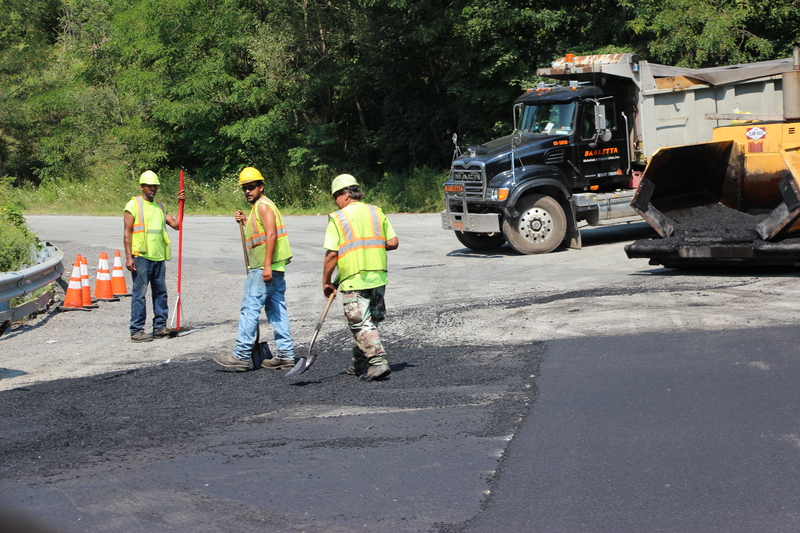 This week they expect to finish laying the 1.5 inch thick layer of asphalt. 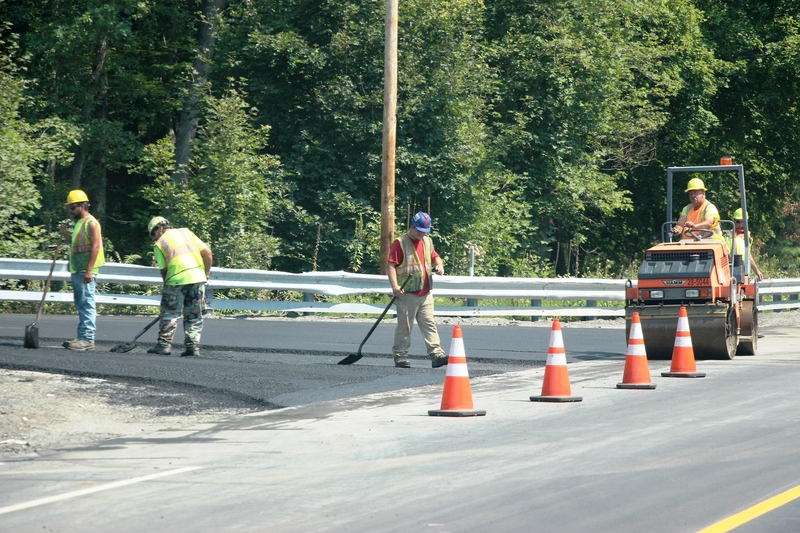 Work is expected to be done by September, if not sooner. 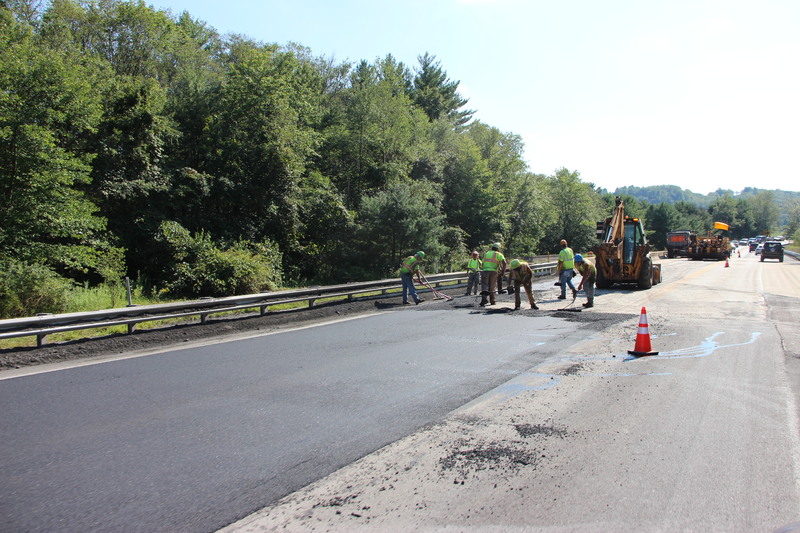 Pennsylvania Department of Transportation (PennDOT) District 5 announced that US209 (a.k.a. 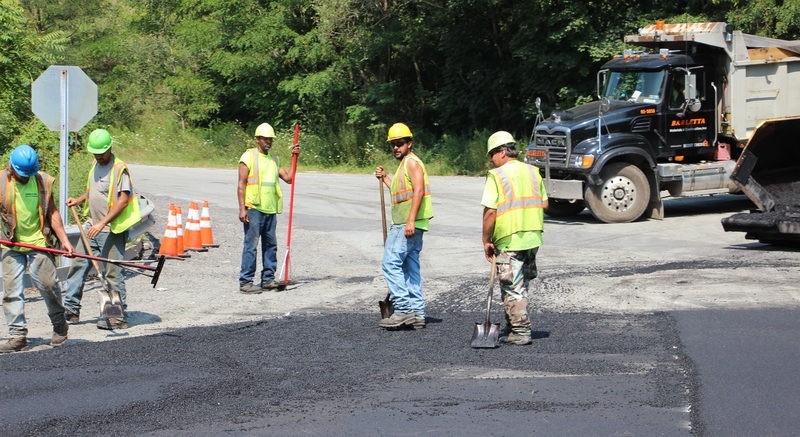 Pottsville Stretch) will be resurfaced in Blythe, Schuylkill and Walker townships, and Middleport and Tamaqua boroughs in Schuylkill County beginning Monday, June 8, 2015. 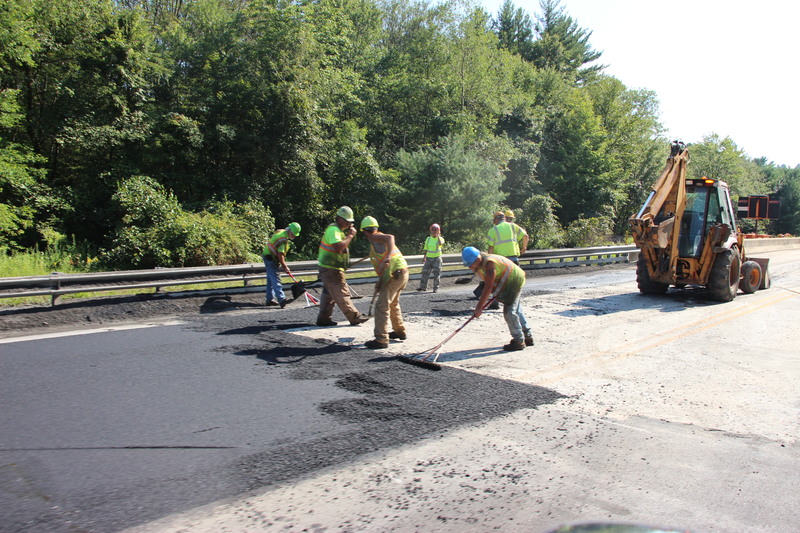 The pavement improvement project is financed with state funds from Pennsylvania’s transportation plan, Act 89. 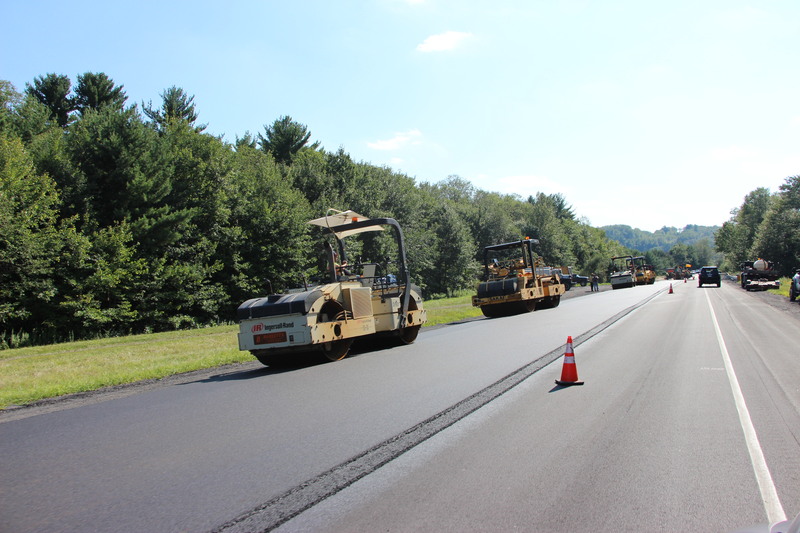 The project includes milling, patching, paving, shoulder and guiderail upgrades and new pavement markings on US 209 between Coal Street (Blythe Township) and North Lehigh Street (Tamaqua Borough). 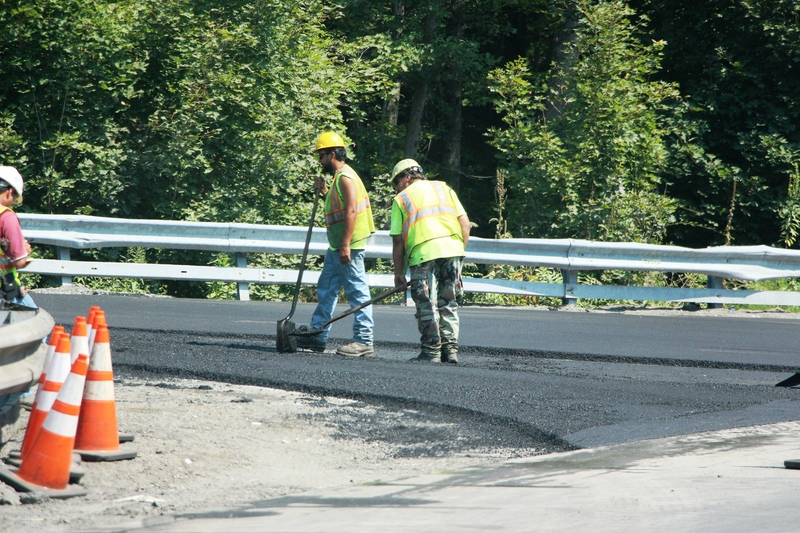 Beginning June 8 motorists will face daytime lane closures from 7 AM to 7 PM, Monday through Friday. 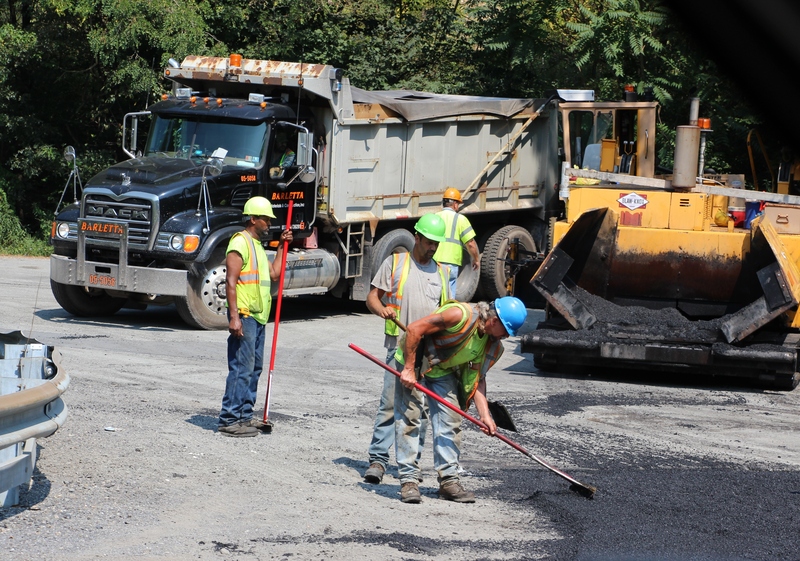 Crews may work weekends if there is inclement weather or there are equipment breakdowns during the week. 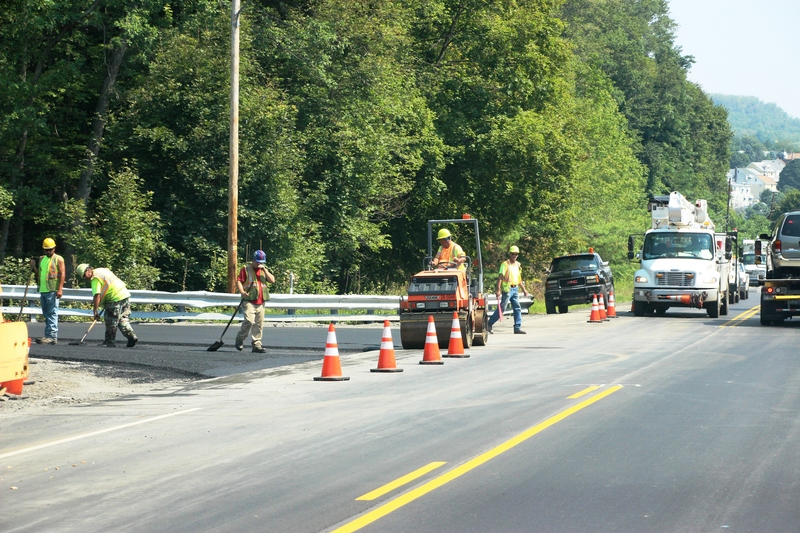 Motorists are reminded to be alert for these operations, to obey work zone signs, and to slow down when approaching and traveling through work zones. 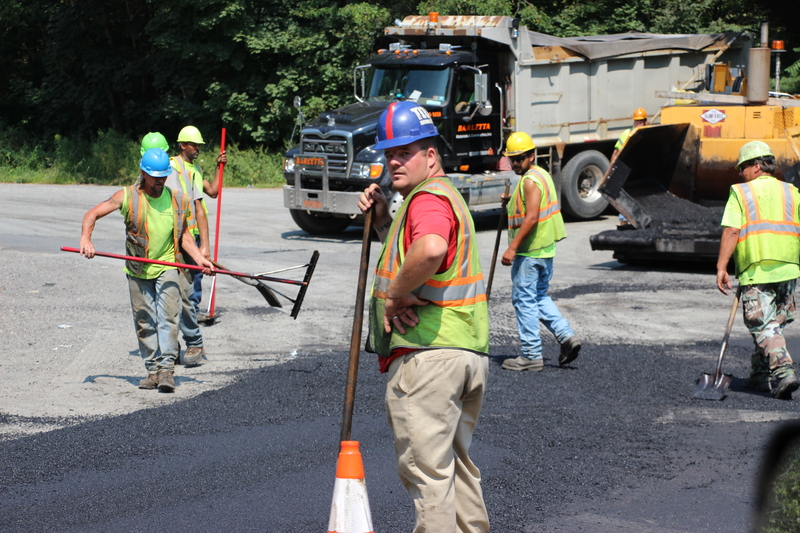 These precautions are not only for their safety, but for the safety of the road crews. 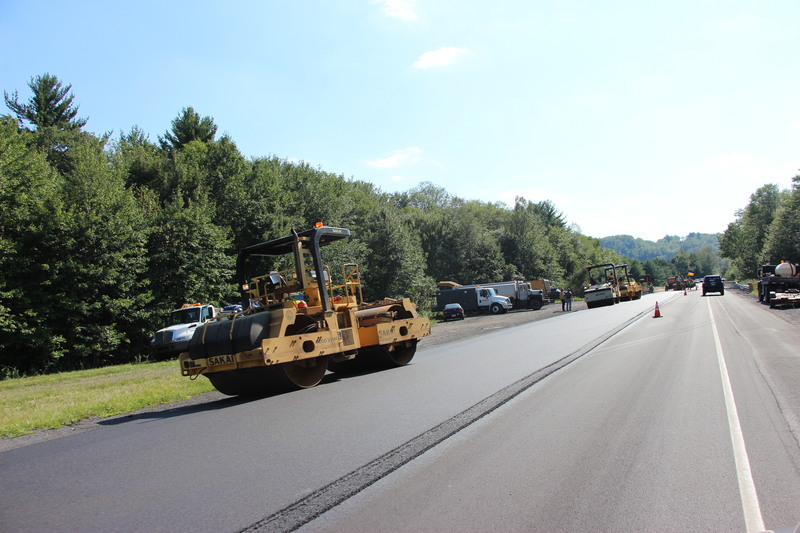 Lehigh Asphalt Paving & Construction Co. of Tamaqua, is the general contractor on the $3,026,390 project. 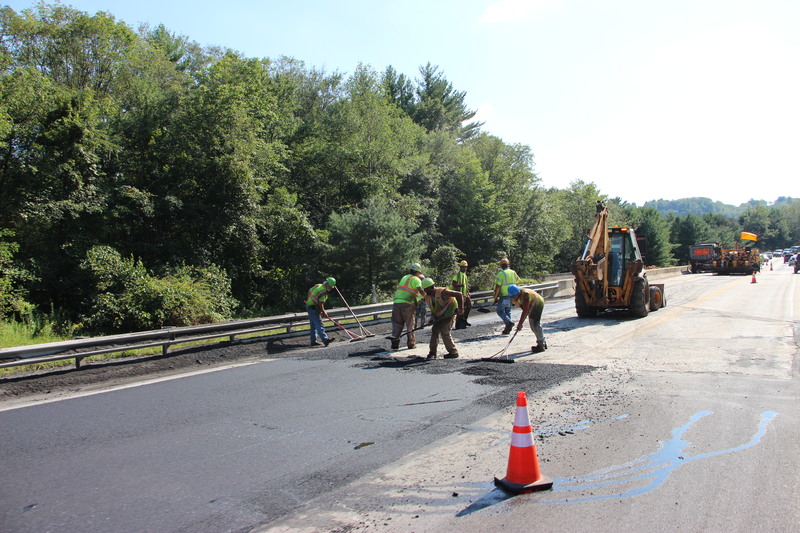 All work is expected to be complete in September. 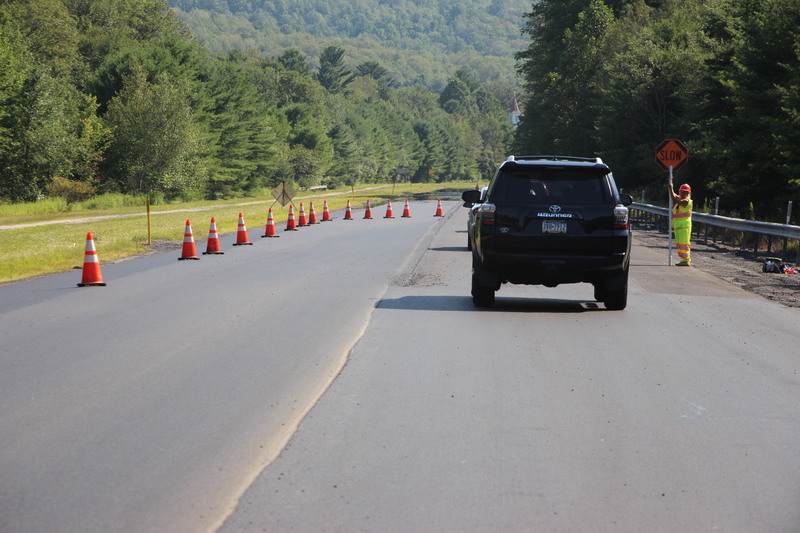 The average daily traffic volume on this section of US 209 varies between 4,785 and 6,555 vehicles.